Where has all the time gone? 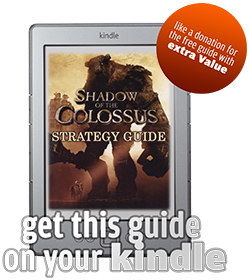 You are now on your way to the last colossus of them all, but fear not, after you defeated the last colossus there is still a lot to do and discover in the game, so just read on. So ride out of the temple one last time. 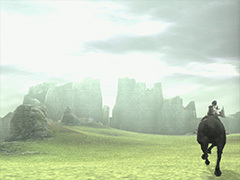 This time you take the direction to the south again, just like for the 8th colossus you ride through the gap in the mountains again but when the path forks you take the right path this time, the one to the save shrine. From here you have to ride a good way to the south until you finally are at the end of the map and so to say at the end of the world. 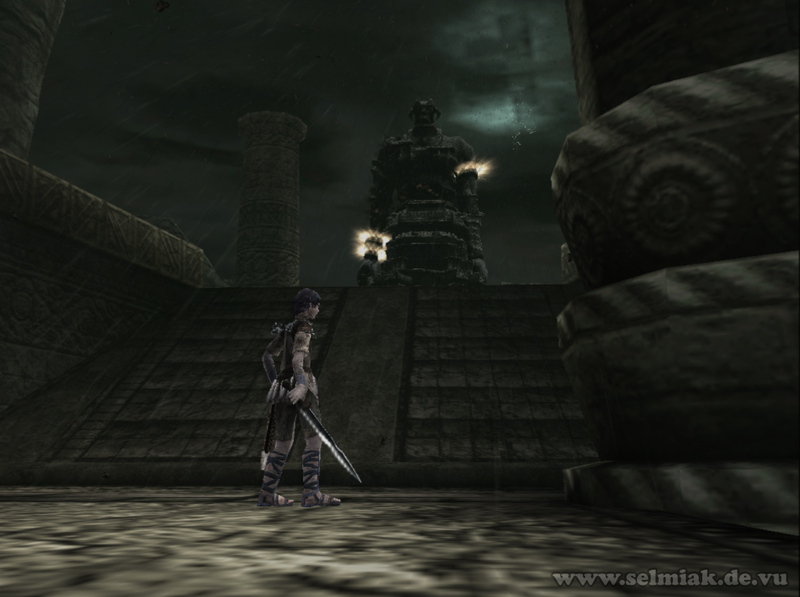 Here are some old pillars and a huge closed gate. 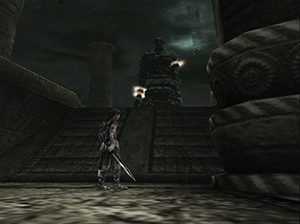 Take your stand on the small round pedestal and draw your sword. Let the reflecting sunlight shine onto the symbol on the gate and the gate will open. True magic is working here. Now you can pass the gate. climb up on the moss until you have to walk through the mountain. After the pass through you use the pillars on the sides of the entrance/exit to climb up. 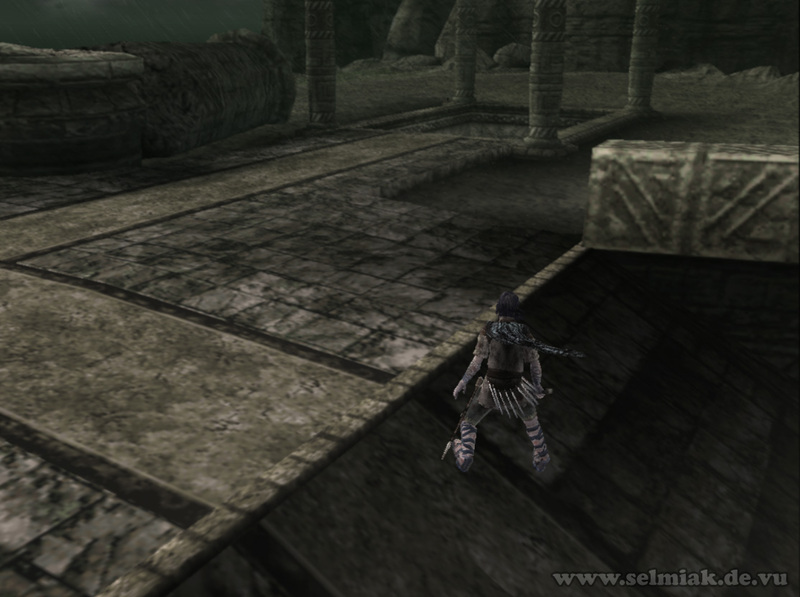 Take a look at the picture to the left here in full resolution to see the path you have to climb. 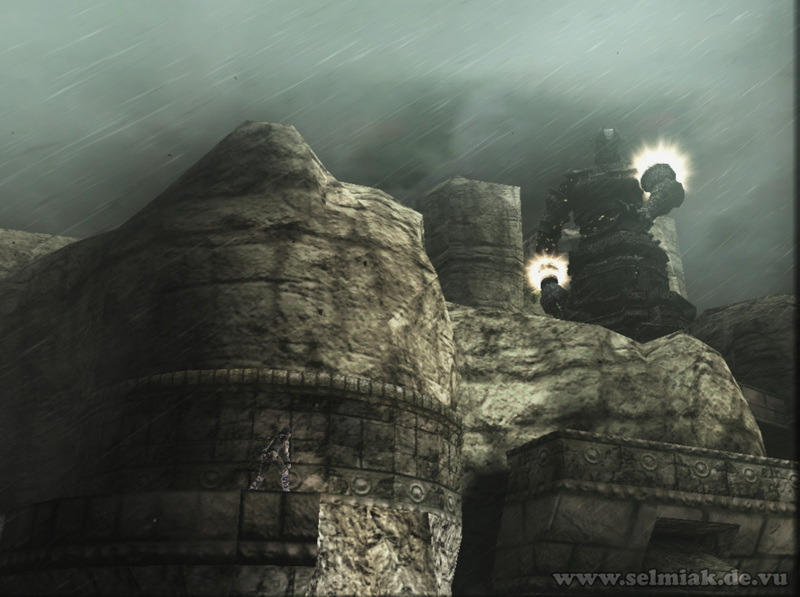 Up here the weather is really bad and the colossus is in a bad mood because of this. 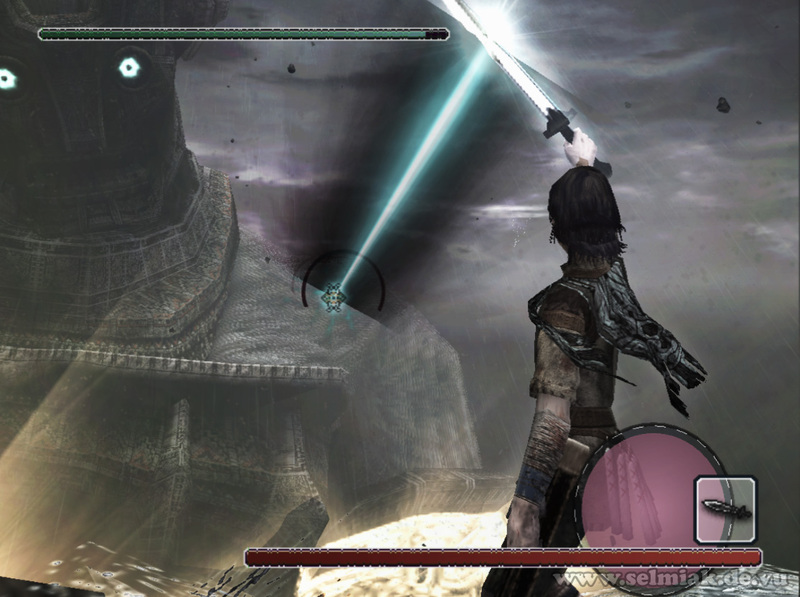 So how should a game about colossal colossi end? 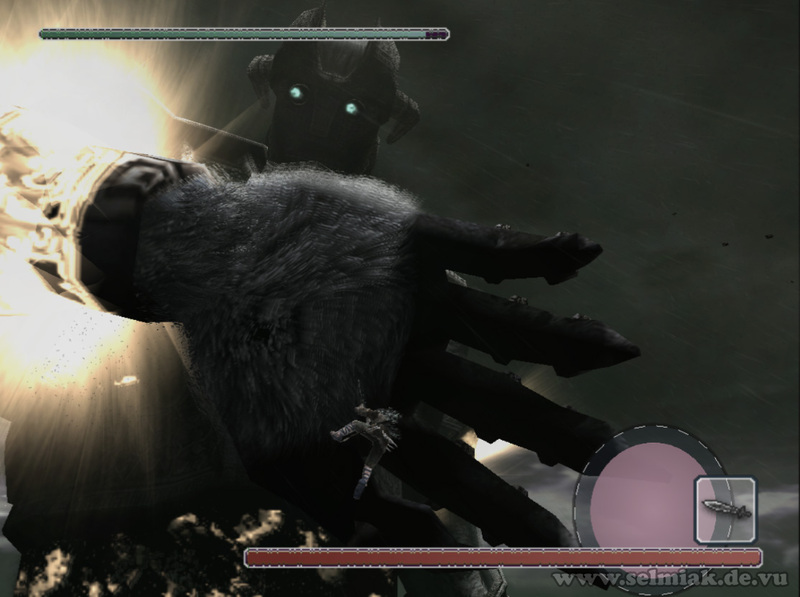 Of course just like Shadow of the Colossus ends, with one absolutely gigantic colossal colossus that is bigger than everything before in the game, well in every game there is. 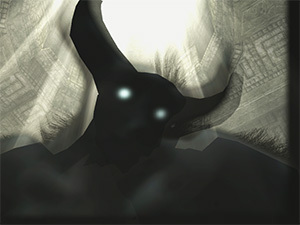 This guy is so huge and so mean, get ready for an epic fight now! 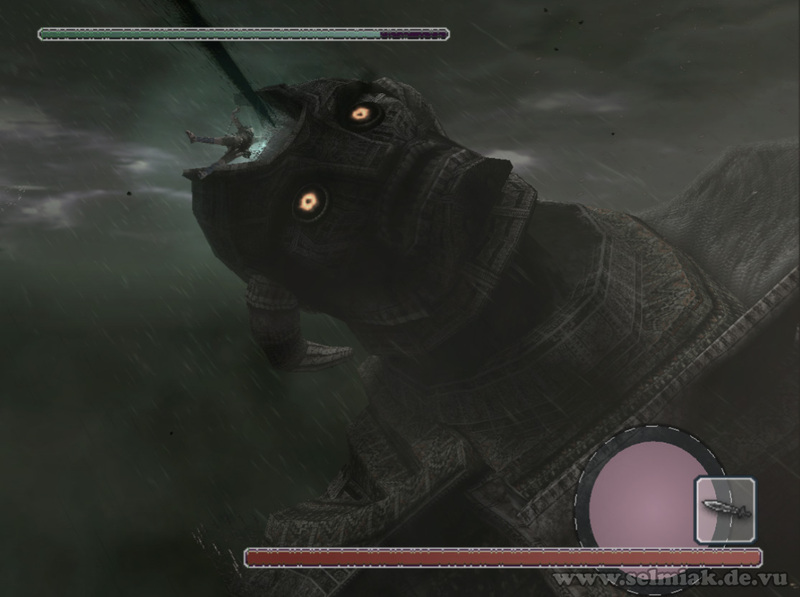 After the 16th colossus woke up you have to get close to him, there is no other way to defeat him. Do this by taking the ramp in the middle of the path. 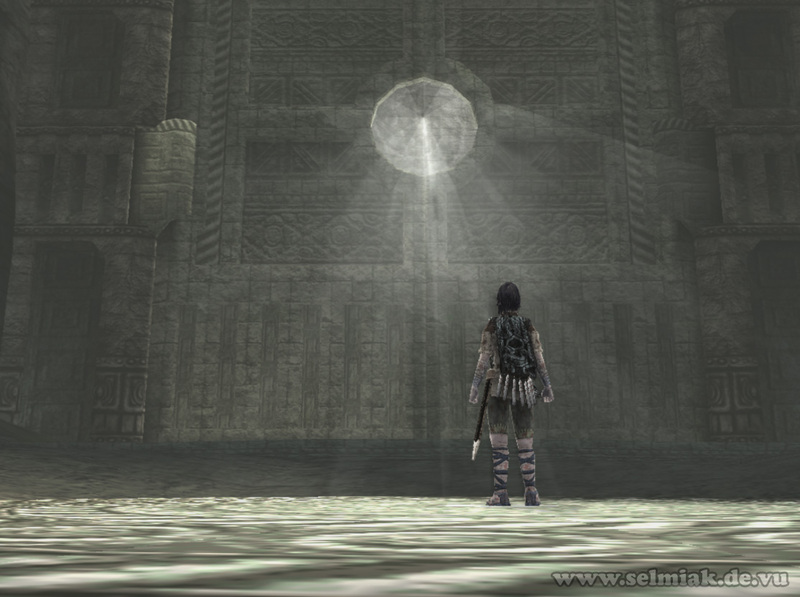 Sadly the colossus shoots a lot of glowing energy balls at you as soon as you step on this ramp. 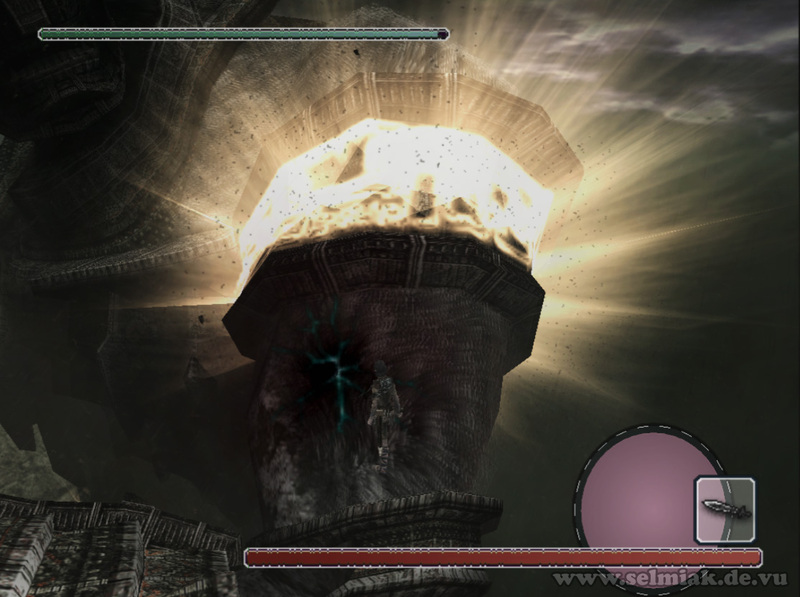 If these things hit you they won't drain as much energy as you would expect them to, but they knock you out and as soon as you stand up again the sixteenth colossus hits you again with another energy ball, so it's better to not get hit at all. 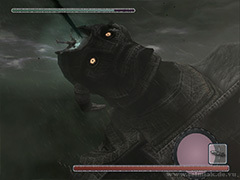 In case you get hit always keep an eye (the camera) on the colossus and run away and hide as soon as you can move and the colossus fires again. Or better roll and jump away. One possibility for cover is the longer wall to the right of the ramp, you should be able to run behind it and take cover before the energy ball hits you. 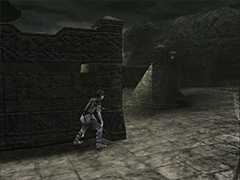 A bit further to the right of the wall there is a hole in the ground, so you better jump into this hole and follow the underground hallway until it opens up again after a turn. Use the wall as a defensive wall and safely climb up on it and don't walk to the end of the hallway as it is open again here and the lighthouse colossus can shoot you again. Once you climbed up at the end of the underground hallway take cover by jumping behind the small wall you find up there. Once the colossus fired again you jump behind the next wall to the right of it. You keep repeating this until you reach yet another hole in the ground with a hallway attached to it. 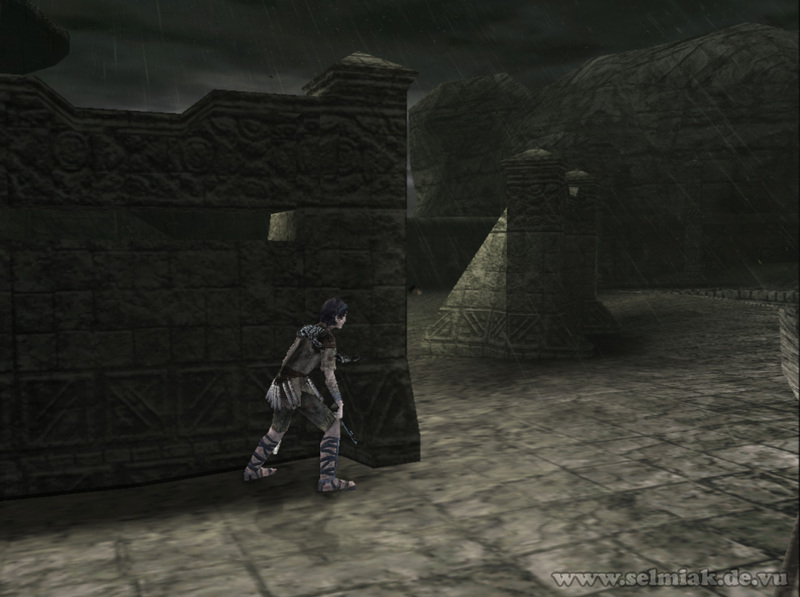 This hallway leads to a cliff on which you have to jump and climb along to get along until you reach the end of the rock wall. 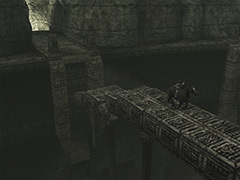 Here you just have to run really fast to the wall closer to the sixteenth colossus and there you will find another hallway. Run to the end of this hallway and climb out. 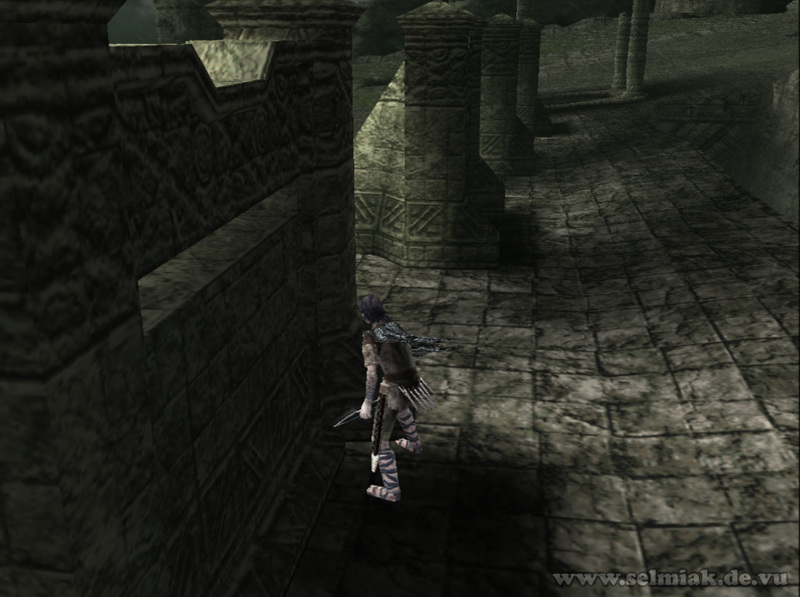 Then climb up one more level and hide behind another small wall. Again jump from wall to wall when it's safe between shots and jump into the last hole in the ground. 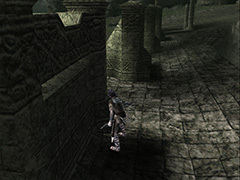 The gap between the last 2 walls is a bit bigger than normal and thus a bit unfair, you have to run and then midway rolljump into safety behind the wall. 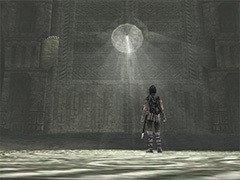 Inside the hole is another hallway and at the end of this hallway you are at the feet of the 16th colossus already. Like you are under his (her?) skirt. 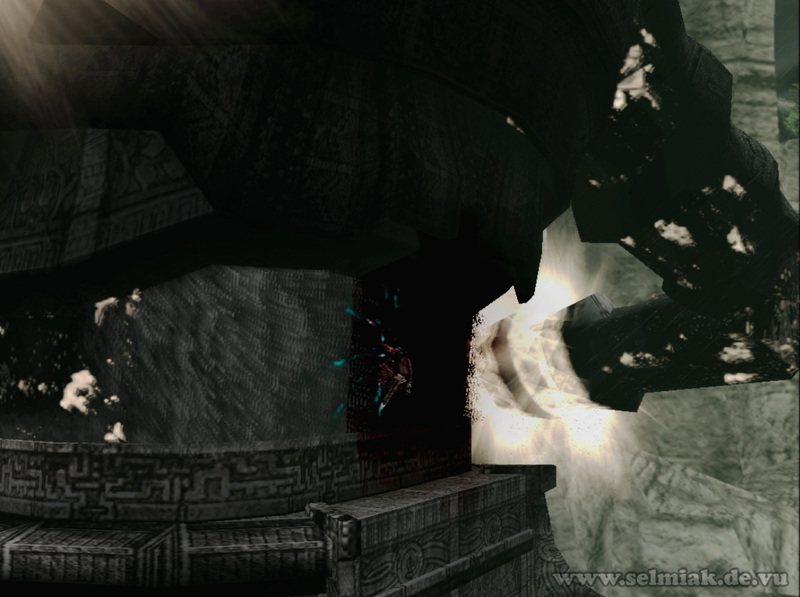 Just walk straight on, climb up a short bit and walk through the portal. 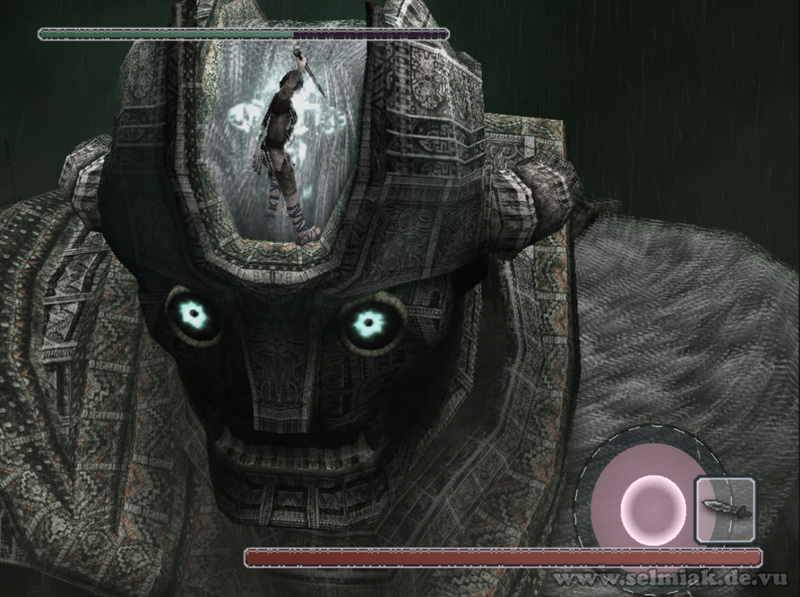 Now you are on the colossus on the outside. 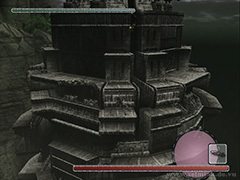 Jump over a small gap and climb one level higher. Climb higher and higher. In case you can't climb any higher walk to the other side and search for grip there, it is always possible to climb higher until you are standing at the belly of the colossus. 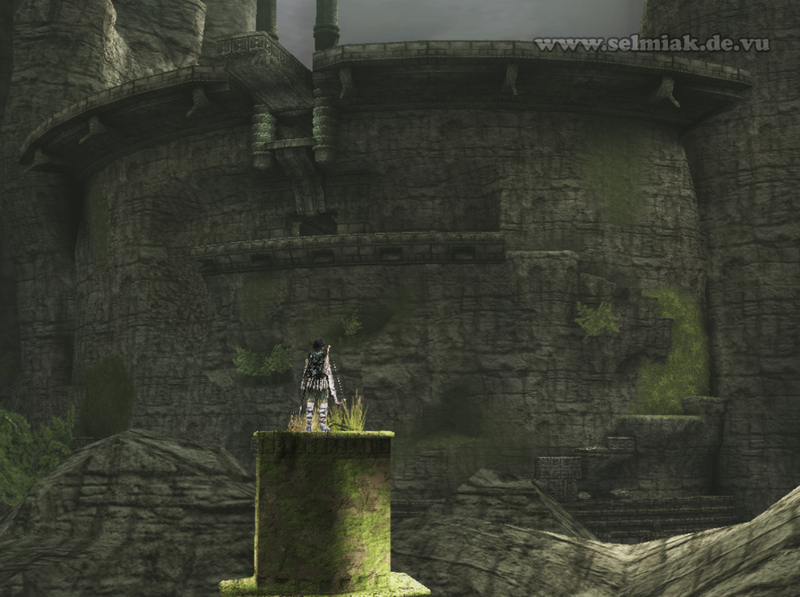 Get to the back of the colossus. 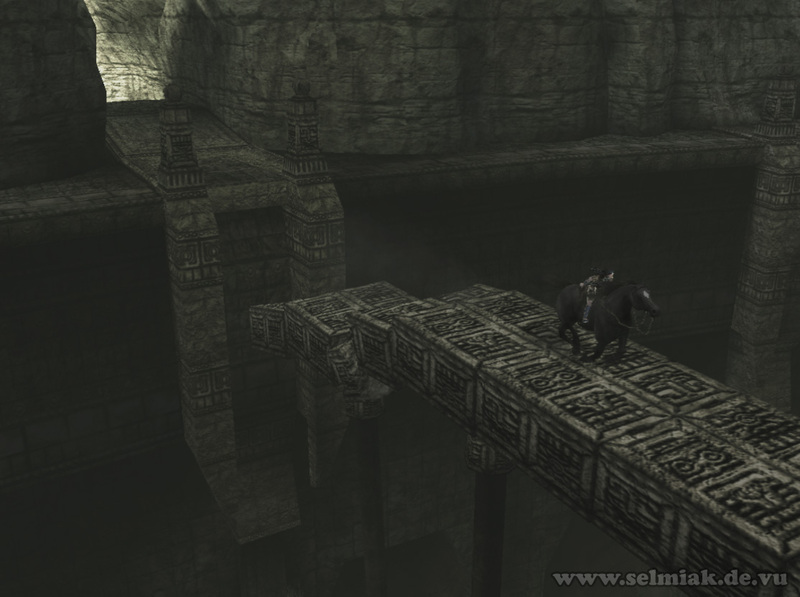 There is a lot of fur on the back of the 16th colossus so grab onto it. While you are hanging there smash your sword into the small glowing area there. 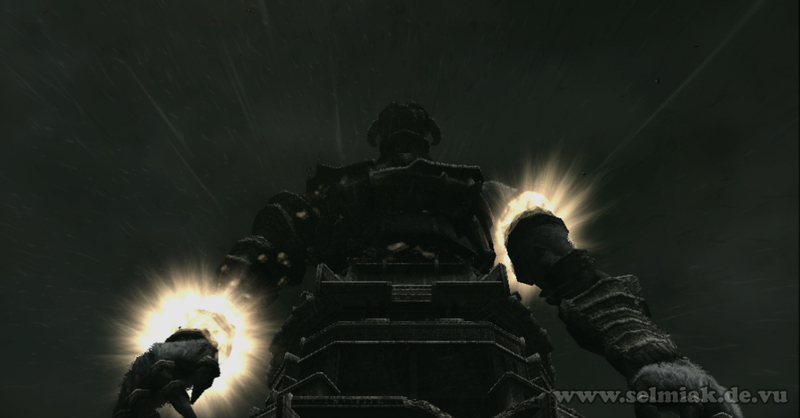 The colossus starts scratching there. When his hand is coming close jump onto his hand. Hold on tight and don't let him shake you off. 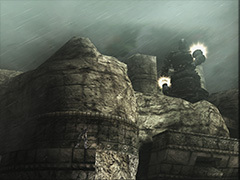 While the colossus is turning his hand around and around just do nothing and wait until you are on top. Once you are on top run up his arm. On his elbow you can take a break and regain health, but you still have to watch out so that you don't drop down. Now climb up on his upper arm a bit and now it's getting really interesting. If you blow you sword into the blue glowing hurtpoint here his second hand comes near you and wants to scratch this place. So you have to jump aimed into his hand. His second hand looks a bit worn out, doesn't it... well, perform the jump like you would jump from one wall to an opposing wall. But as his hand is very shaky you can stand on the small ledge up here and just jump over to the other hand. 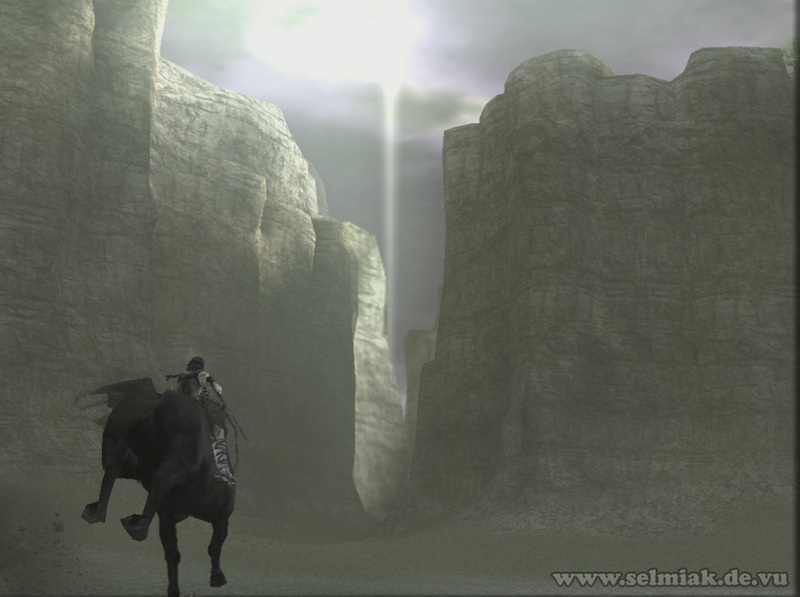 Climb onto the back of the hand of the sixteenth colossus and ram your sword into the back of his hand. He is very curious and wants to know what is going on and hold his hand up high and close to his head so he can see you. Here you can rest for a while and regain some grabbing power, but then, yeah then take out your sword and uncover the weak point on his left shoulder (from your point of view the right one) with the reflecting sunlight. After you found the weak point shoot it with an arrow real quick. The colossus will hold his hurt shoulder with the hand you are on at the moment and so you should just jump off from his hand to his shoulder. From here you can reach his head with ease and fight him off. 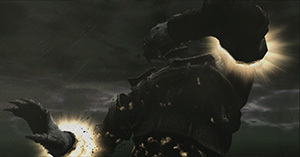 His weak point is of course on the highest place on his head, so get it done and don't lose grip. The way back up is really long. 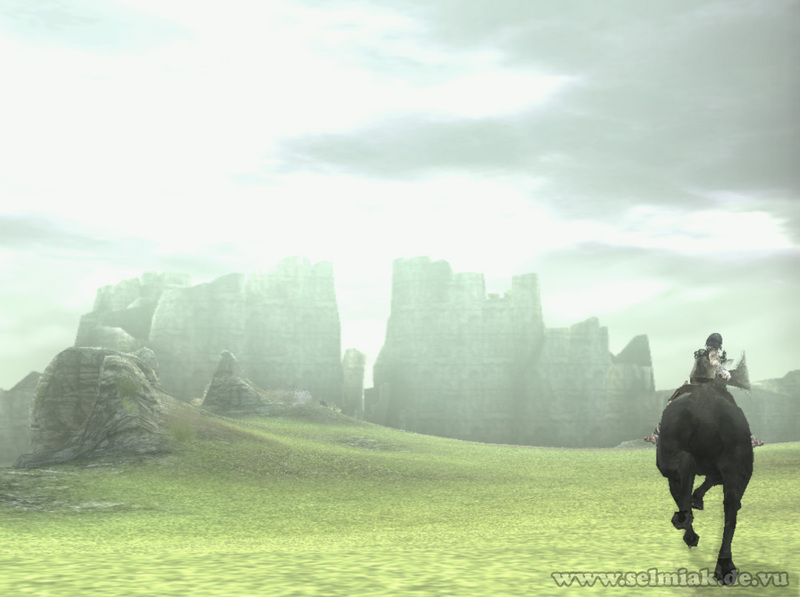 If you are now interested in more facts and secrets about Shadow of the Colossus let me recommend you take a look at the Secrets Section, there is a lot more to discover.